I temporarily put my stamping supplies away to make room for quilting! When it was time for stamping, I noticed similarities in the two crafts. In quilting, I really enjoy putting the fabrics together playing with color and pattern- kind of like when you put a card together. The cards that follow are a perfect example of just that. While poking around online looking for inspiration, I came across a card I really liked made by fellow SU demonstrator Brenda Rivera. I copied her layout, but changed the colors to make two great cards! This card is for my friend's birthday- shhh- don't tell! This is one of the cards we made in our workshop last week. 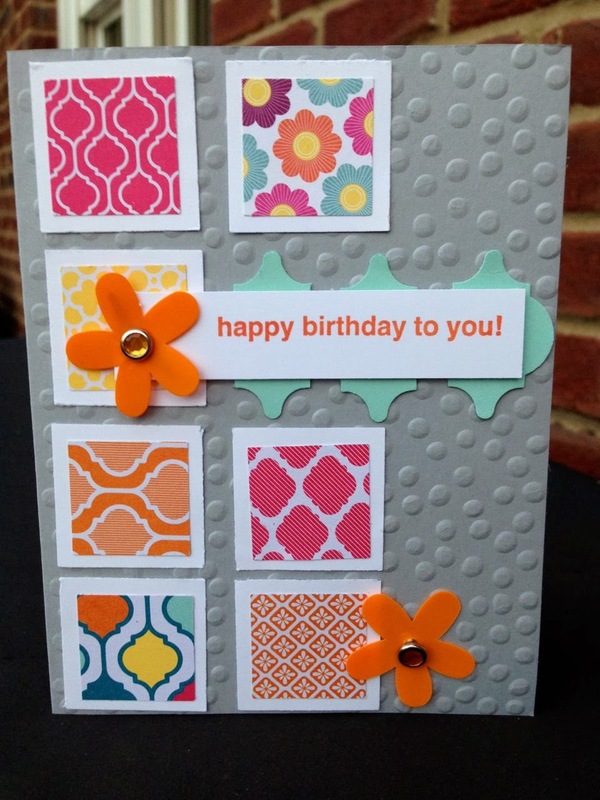 I found paper and patterns that worked together to make happy, colorful cards. 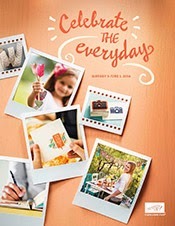 That sounds a lot more involved then it really is because Stampin'Up! has made it really easy. On the first card I used Designer Series Parer pack, Quarterfancy Specialty. The paper is already coordinated to go together- I just picked the patterns I liked! 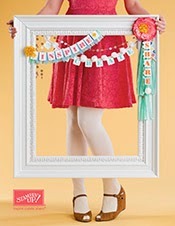 Same with the second card, I used Retro Fresh DSP found in the new Occasions Catalog. I paid close attention to balancing the colors, size of the pattern on the paper, and direction of the pattern- like you would when piecing a quilt. I hope you are inspired by these cards. Let me know what you think. 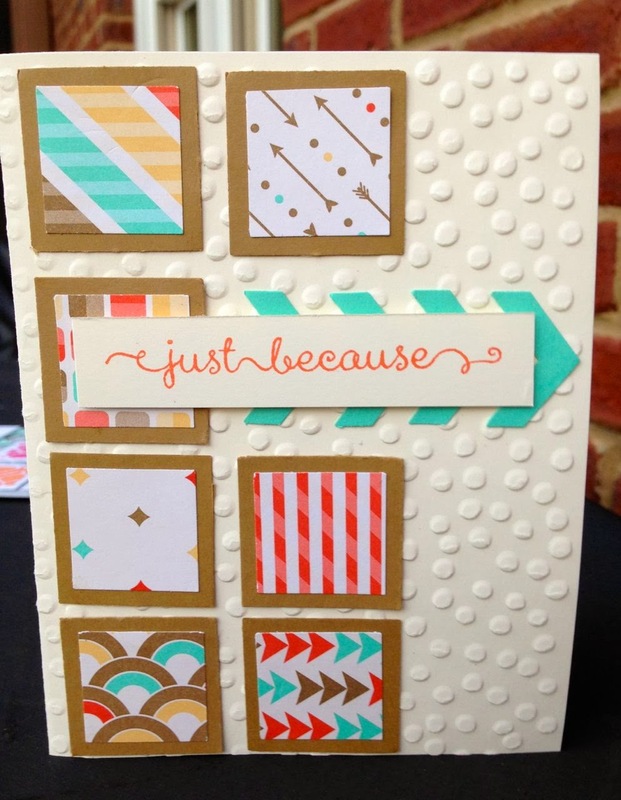 Stamp set: this greeting is discontinued, but you can choose any greeting for this card!